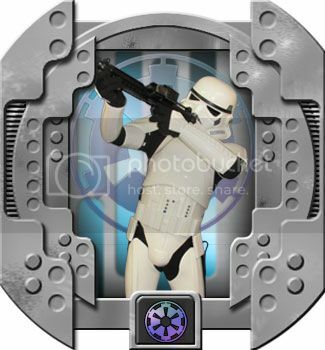 Please welcome a new ANH Hero Stormtrooper to the ranks TK-35711 Sticky. Now report to Docking Bay 327, a Freighter has been captured entering the remains of the Alderaan System. Congratulations and welcome to the Garrison mate! A have to say a SPECIAL THANKS to BIDS, who has taken the moto of Troopers helping Troopers to the next level. BIDS has helped me from day ONE to approval. I thank him for taking on, and believing in an often confused and distracted super cadet. This has included annoying texts, emails and the odd: "OMG.... what have I done" phone calls. I have gained a good friend in BIDS, and I look forward to meeting more folks as I start trooping. Thanks to others such as; TM, MammaSith, Crypto, Phantom. Congratulations your stuck with us bad guys now. Another shiny whitey well done.